Below are a break down of some of the training techniques you can use to progressively overload your muscles as part of a long term training program. Be sure to incorporate adequate rest into your program and with these weight training techniques you should see great gains in performance and improved musculature. The main principle most people use in the gym is progressive resistance. Slowly adding more weight to the stack or bar and progressively overloading your muscles to stimulate muscle damage and repair. Over time and as the muscles adapt to the stimulus and become more efficient and the same workload will not stimulate the number of motor units within your muscles therefore the exerciser needs to be constantly looking at ways to enhance their weight training workouts. If you regularly do exactly the same workout it is likely that you will only maintain your level of strength and will not recruit further muscle units to lead to hypertrophy. Some of the wrokouts below are examples of forced/ assisted rep training due to the requirements for a spotter however there are options for if you do not have a spotter available to help your weight training workouts. Did you know that 60 % of muscle growth is achieved through the eccentric phase of a movement? Always perform negative eccentric training after an extremely thorough warm up. Negative training is best performed with the assistance of a spotter in whom you have complete trust as you are dealing with very heavy weights. Some machines can also be used to incorporate negative training if you do not have a spotter. Due to the muscle damage as a result of these exercises recovery can take a time of anything up to 2 weeks as the body is simply not used to such an effort. 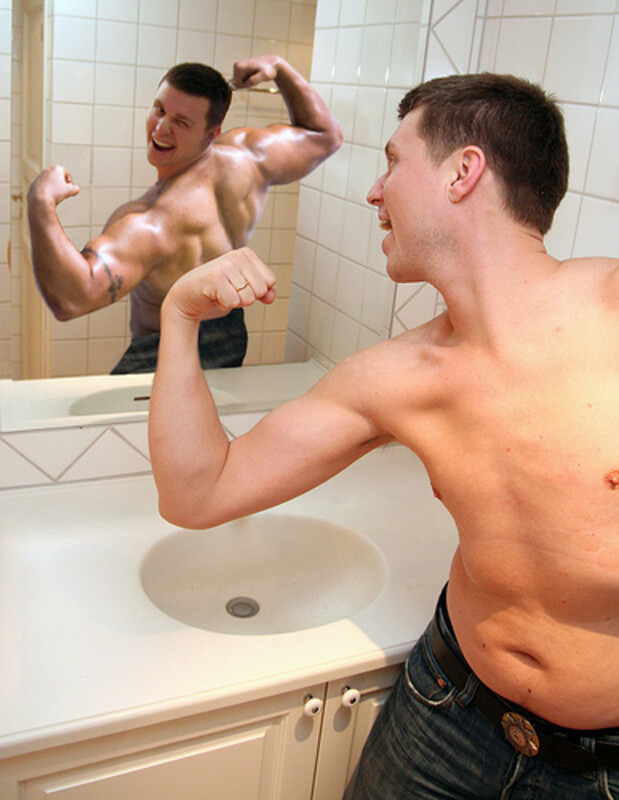 Muscle growth- Hypertrophy isn't simple! Have you ever really done a set that you can't even more the dumbbell/ barbell any more? Training to failure means you work to the point where you can no longer achieve a lift of the weight. You've 'failed' and can do no more. Every exercise has a point where gravity and leverage make the movement it's hardest and usually this is the point where muscular failure occurs. When you exercise to failure you work to the point of recruiting every possible muscle unit within the working muscle which leads to optimal muscle fibre stimulation. Pre-exhaustion training involves performing an isolation type exercise before performing a compound exercise to partially pre-exhaust the muscle and change the regular muscle recruitment pattern to stimulate greater muscle growth. The Pectoral Fly exercise isolates the pectoral muscles then the bench press hits the muscle in a different way to provide the stimulus for hypertrophy. You will likely not be able to use your usual weight for the Bench Press due to the pre exhaustion from the flies. This is an advanced weight training technique and should be used with a spotter due to the exhaustion and you should use these workouts sparingly. Once a week should be completely sufficient. If you don't have a spotter or they're working on their tan on a beach somewhere you don't need to miss a workout or even worry that you won't be able to get the same level of muscle stimulation. Drop sets are a great weight training system to use for machine exercises as part of your weightlifting regime. You can also use the technique with dumbbells by having lightweight dumbbells in the vicinity. Simply complete your usual set to failure, pick up a lighter set of dumbbells or change the setting on the weight stack and squeeze out a few more reps to failure. As with all of the advanced weight lifting techniques in this article you must use this technique sparingly- once every couple of weeks or more will be sufficient to provide a stimulus to muscle growth. Drop sets are a great addition to high intensity weight training regimes and exercise workouts to gain muscle. Drop sets are also often known as reverse pyramid training. 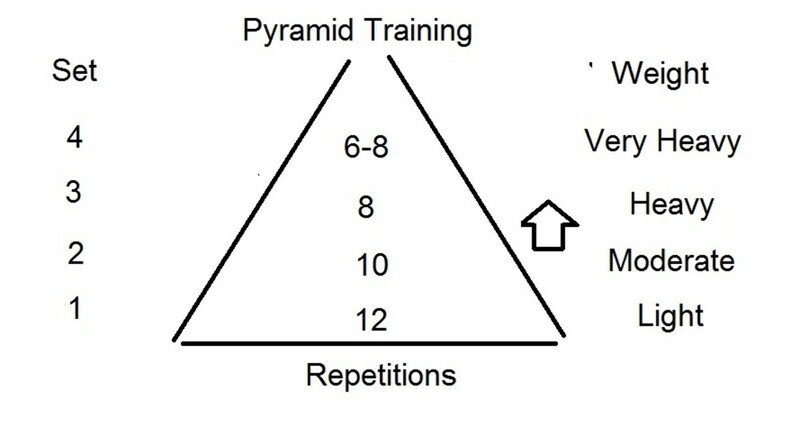 The opposite of drop set training is pyramid training it is best visually shown in the diagram below. A form of multiple set training that allows the muscles to warm up gradually and thus increase the level of overload to give your muscles a greater stimulus for hypertrophy. If you have any comments or feedback regarding these techniques please let us know below. Have they worked for you? Are their any techniques you'd recommend personally? Negatives are a great tool to build muscle that very few people know about or utilize. Good stuff. Fantastic title, well written hub. Love the pyramid diagram - I am visual person and this sums it up very well. 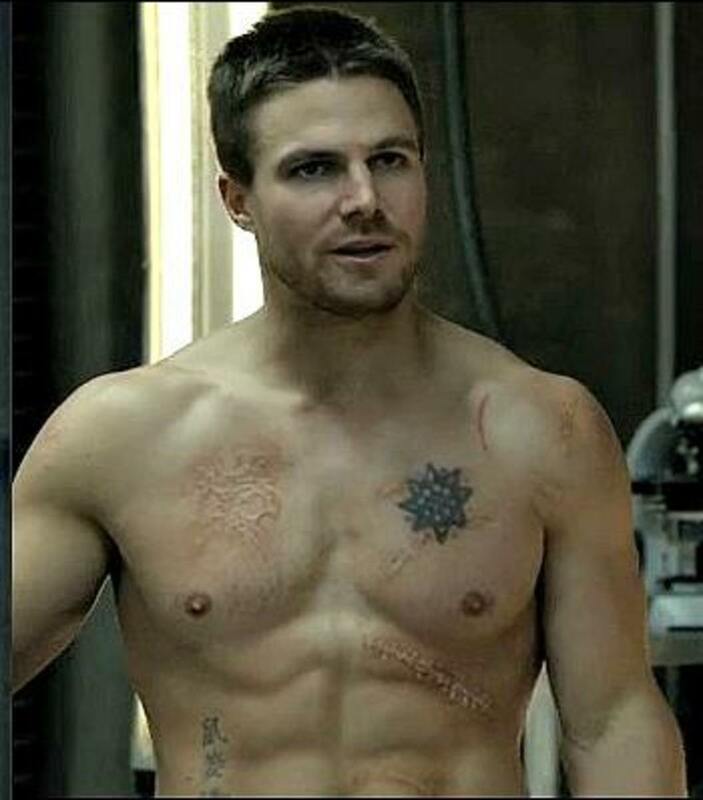 Target toning verses building muscle I feel is still mis-understood. Your thoughts?